Project Pipeline Workshop with The Artisan Hub, who is an arts & culture cooperative whose mission is to build resiliency through creative grassroots efforts. 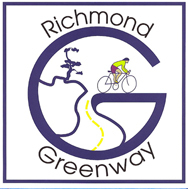 The organization is located in Richmond and we will be setting up a workshop to have middle school and high school students design sustainable kiosk as part of the Richmond Greenway project (converting an old freight train line to a pedestrian and bicycle path). We are expected to have between 20-30 students over the course of 2 1/2 hours. We need several design mentors to help students envision their design. Help us to cultivate future civic leaders who advocate for equitable built environments. Join us on this design mission! *Keep a look out for another workshop happening in Oakland and San Francisco in mid May 14th. Event: Project Pipeline workshop "Richmond"
What is the Richmond Greenway? "When completed, the Richmond Greenway will have transformed a large stretch of previously abandoned railroad property into both a local and regional transportation and open space resource. The greenway will provide people with opportunities to walk, bike, exercise, socialize, learn about their community, observe local wildlife, and experience the outdoors with their families and friends. The Richmond Greenway will run along the former Santa Fe railroad corridor parallel to Ohio and Chanslor Streets and will ultimately connect the San Francisco Bay Trail on the west with the Ohlone Greenway in the City of El Cerrito on the east." Have you volunteered for Project Pipeline camp before? ​If not, what is your experience working with youth on design? Can you provide a ride for another volunteer to the event?